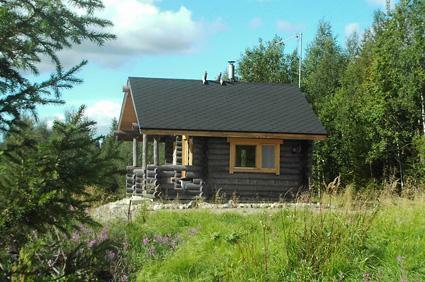 This log cabin is built in 2008 and located on the bank of the famous salmon river Simojoki. 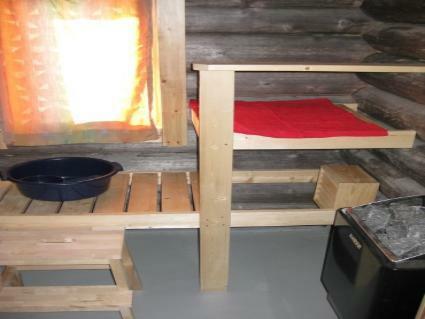 Cabin has living room with sofa bed, kitchenette and loft with 2 mattresses. Steep stairs to loft. 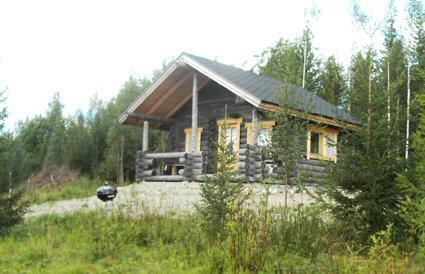 Cabin has electricity and running water. Electric-heated sauna in same building. Outdoor toilet. Beach is fairly good, rowing boat available. 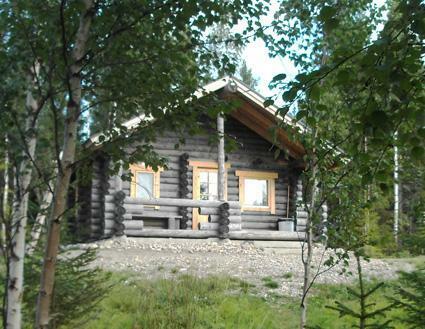 Additionally wood-heated sauna by the river about 250 m from the cottage available during summer (in shared use with the owner, who lives in the distance of 250 m from the sauna). Water is not examined yearly so boiling the drinking water is recommended. The Simojoki is 180 km long river wish runs from Ranua Lake Simojärvi to Baltic see by Simo. There are 101 rapids in the river, from which on the area of Ranua 51. The river is great for shore fly-fishing. Upstream of the river is peaceful wilderness landscape and down stream is more agricultural landscape. The rapids grading for paddlers can be found from infomap. 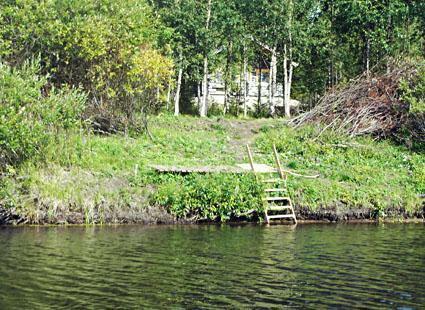 In the surrounding areas there are large areas of State owned hunting grounds and very good cloudberry swamps. One fishing permit is included in the cabin rent. Martimoaapa Mire Preservation Area has marked hiking trails, and the area is well known for its birds and cloudberry swamps (www.nationalparks.fi/martimoaapa). Yearly in the beginning of August, a cloudberry fair is held in Ranua. Distances: Ranua Zoo 30 km, Ranua 32 km, Simo 60 km. Cabin can be reached by car.